I am sure everyone brush their teeth twice a day, some people even more than that amount. Like my grandma, she brushed her teeth after every meal, I feel it's kinda troublesome. Yet, brushing teeth alone is not enough. It only cleans 23% of our mouth! (Means my grandma's did useless job) And this will be causing us suffer from cavities. Are you suffering from any one of them? Beside brushing our teeth twice a day, flossing it at least once a day and visiting the dental for every six months, rinsing our mouth with antiseptic mouthwash is a MUST! It's embarrass if one having bad breath when talking especially when we are sick! 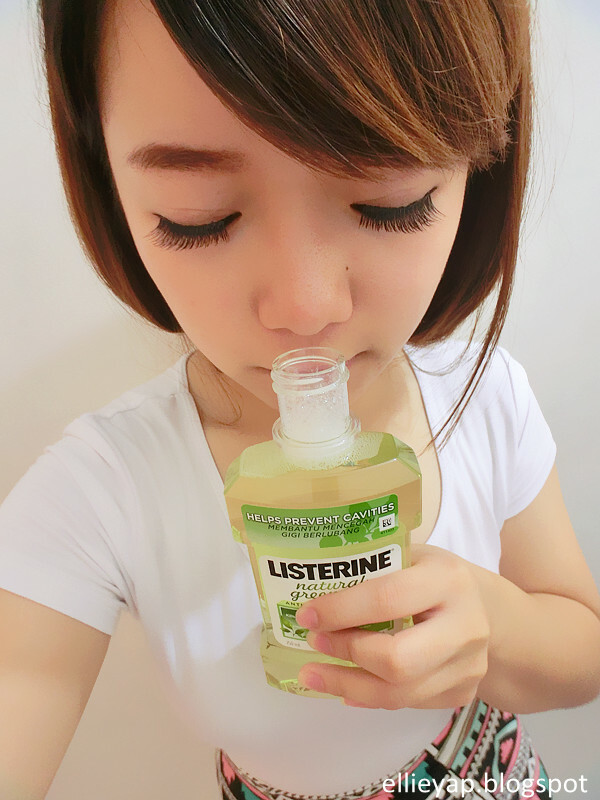 LISTERINE® is here to help us to get rid of these awkward moment! 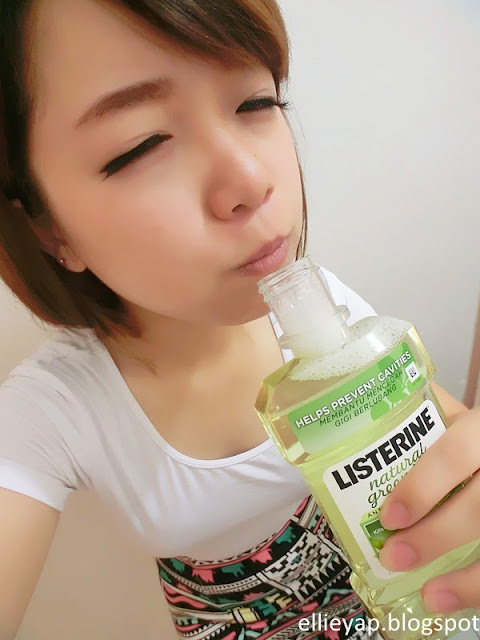 LISTERINE® as a liquid can reach our whole mouth including parts that toothbrushes and dental flosses miss. 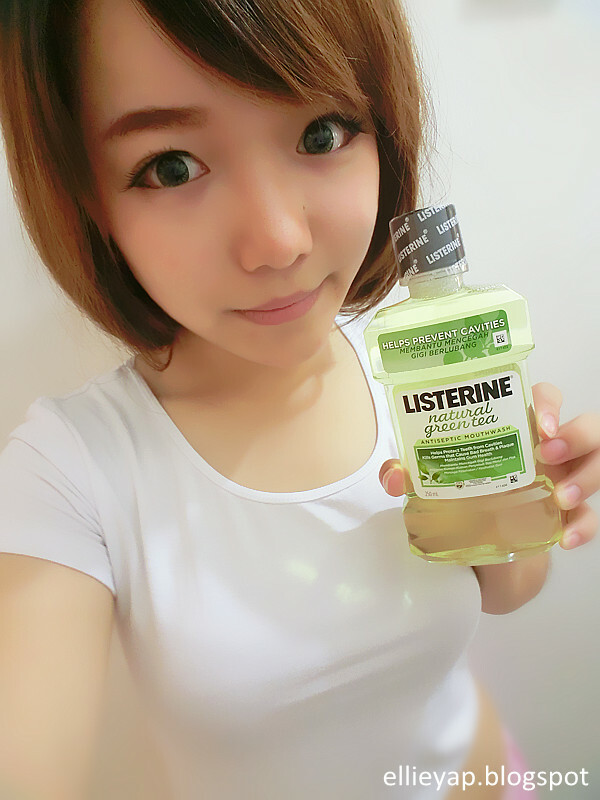 Killing 99.9% of germs that cause tooth decay, bad breath and gum problems for up to 12 hours. BUT Why is it Green Tea but not strawberry or pineapple? As a popular health drink among the world, green tea is a drink that consist of antioxidant properties which can help fighting cancer, reducing cholesterol level and high blood pressure. research shows that Green Tea can help fighting tooth decay too! 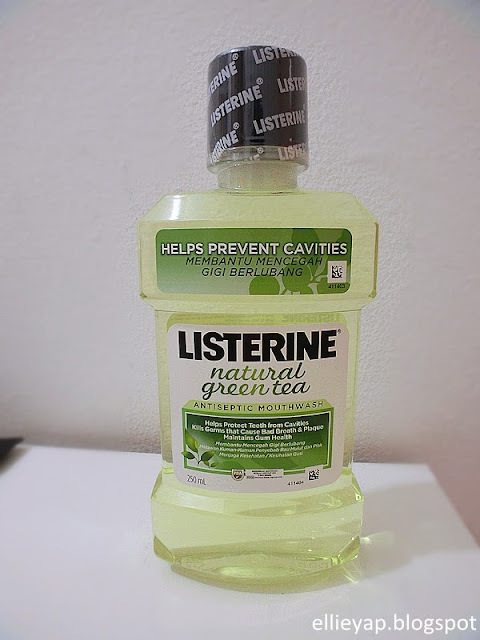 LISTERINE® Natural Green Tea with natural goodness of green tea and double dose of Fluoride can form a protective barrier on our teeth, keeping us away from cavities! With the double dose of Fluoride, our resistance of enamel towards erosion and antimicrobial effects are doubled up as well! Also, it contains slight green tea flavor! Direction to use: Not to drink/ swallow it, it's NOT A GREEN TEA DRINK. I've tried it this morning and I feel my mouth was so refreshing and it's fulled of green tea smell LOL! I am glad as it's alcohol free and the color was just nice, slightly yellowish-green. For more info: visit them on page or website.